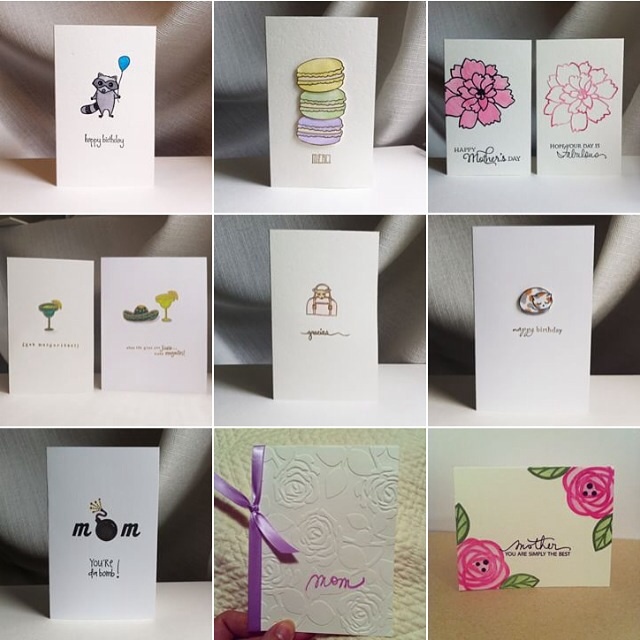 I’ve applied to a couple of upcoming craft markets, one in June and one in September, so hopefully I’ll be out and about selling my cards. Do you think September is too early to sell Christmas cards? Hmm. 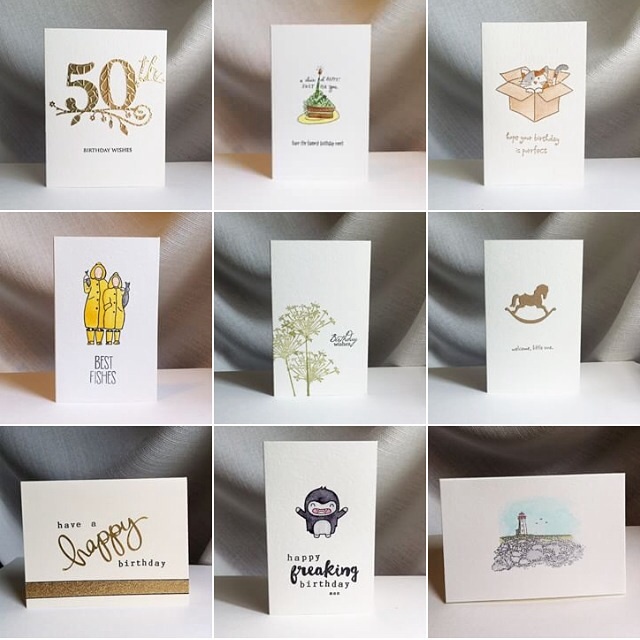 My biggest challenge is Father’s Day cards – actually cards for dads, husbands and dudes in general. That’s my next goal and I’ve been looking at some interesting digital stamps that might just spark some ideas. Stay tuned! If I succeed with my #50cardsin50days challenge I am considering doing another back-to-back… #100cardsin100days!? It could happen! Happy Cinco de Mayo! 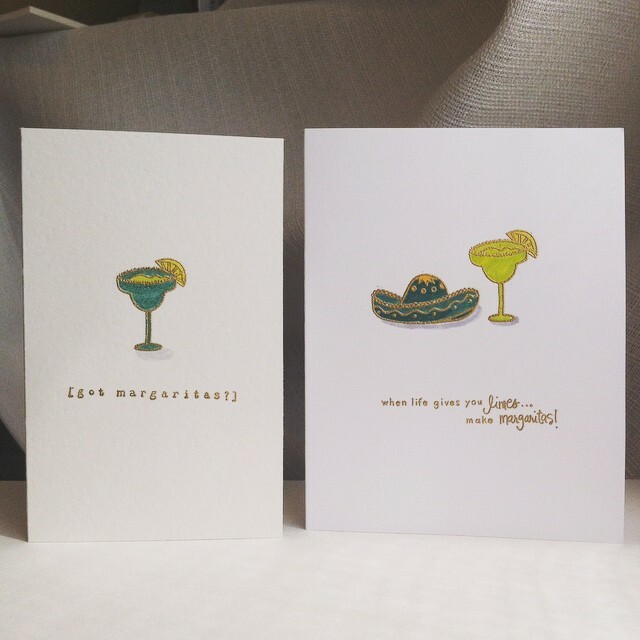 I desperately wanted tacos and margaritas today but didn’t have any ingredients, so instead I made some cards. I lean towards minimalism with design, so the single layer cards have been helping me get out of my creative rut. These vintage A Muse stamps were all heat embossed with gold and then I used Wink of Stella brush pens to colour them. If you don’t own all of these colours – RUN to The Paperie (or your nearest local stamp store) and buy these. All of them. I even purchased an extra blue Wink of Stella and added a few drops of light green to create TEAL. 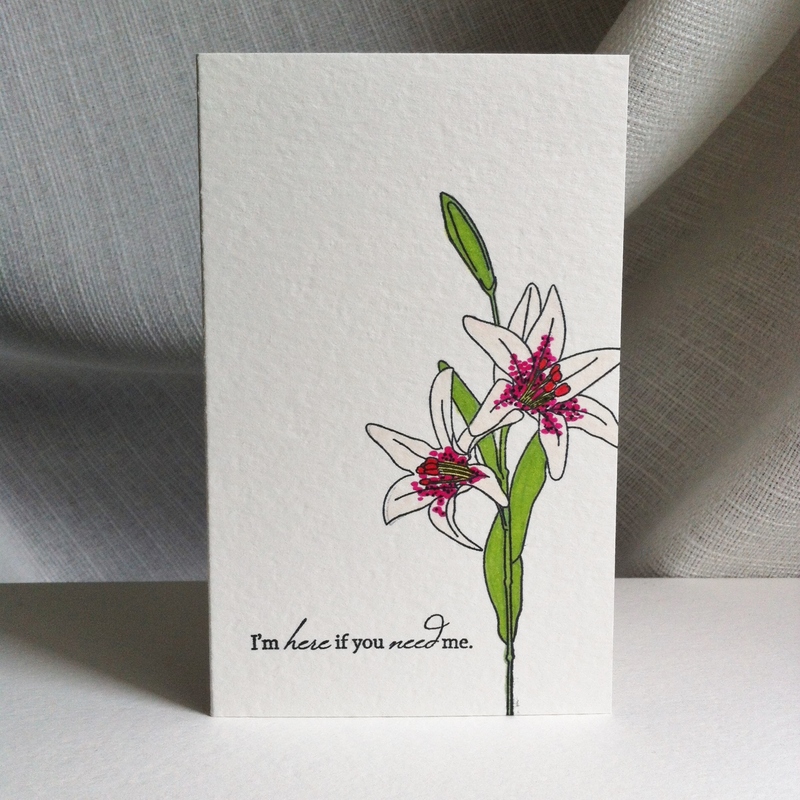 The flower (Memory Box) on the first card was die-cut twice, once with watercolor paper and again with black paper. I painted the first flower all pink and then paper pieced the petals back into the black outline. 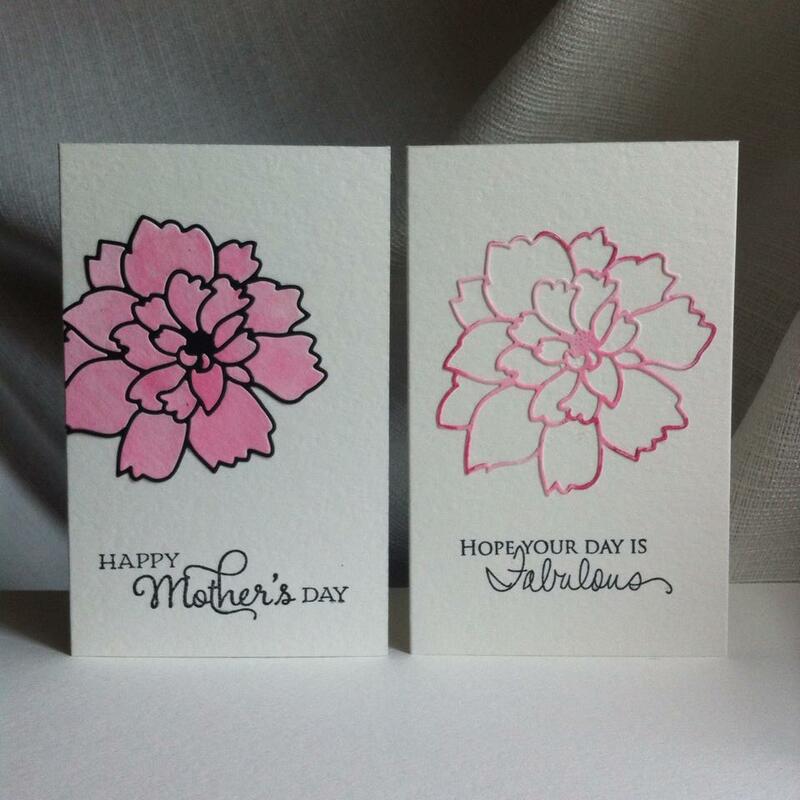 The second card has just the pink watercolor outline. 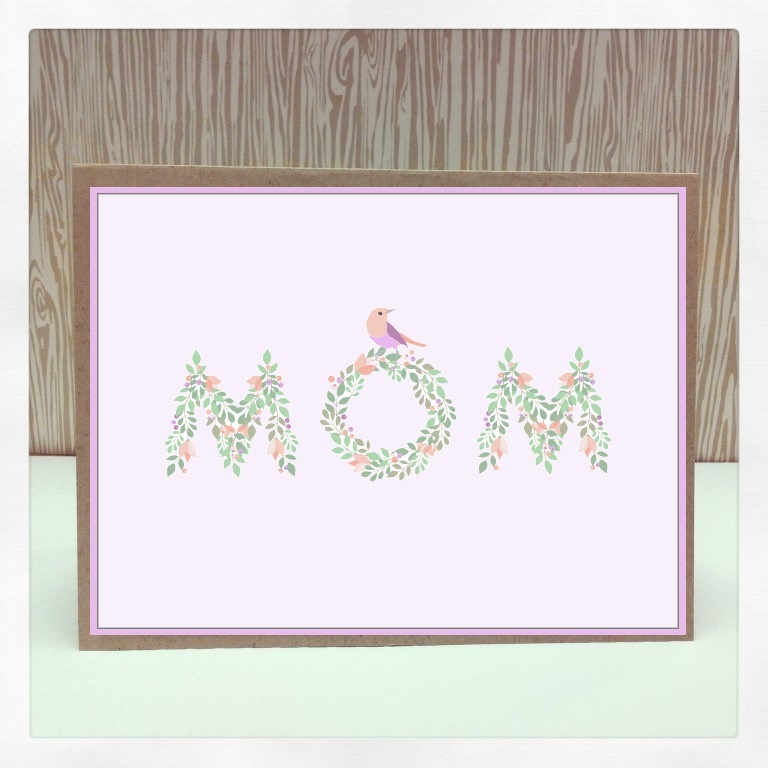 #50cardsin50days – Mother’s Day & More! 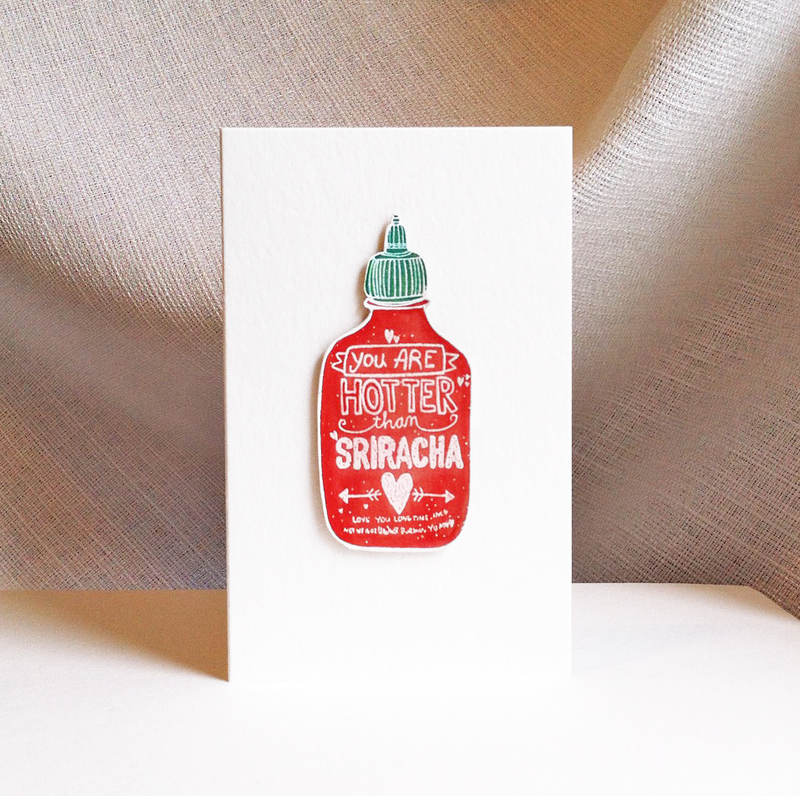 I turned this into a sympathy card because it seemed appropriate. Floral stamp is from Clearly Besotted ‘Thinking of You’ set, and the sentiment is from My Favourite Things ‘Wildflowers’ set. I haven’t really mastered colouring with Copics but I gave it my best effort. 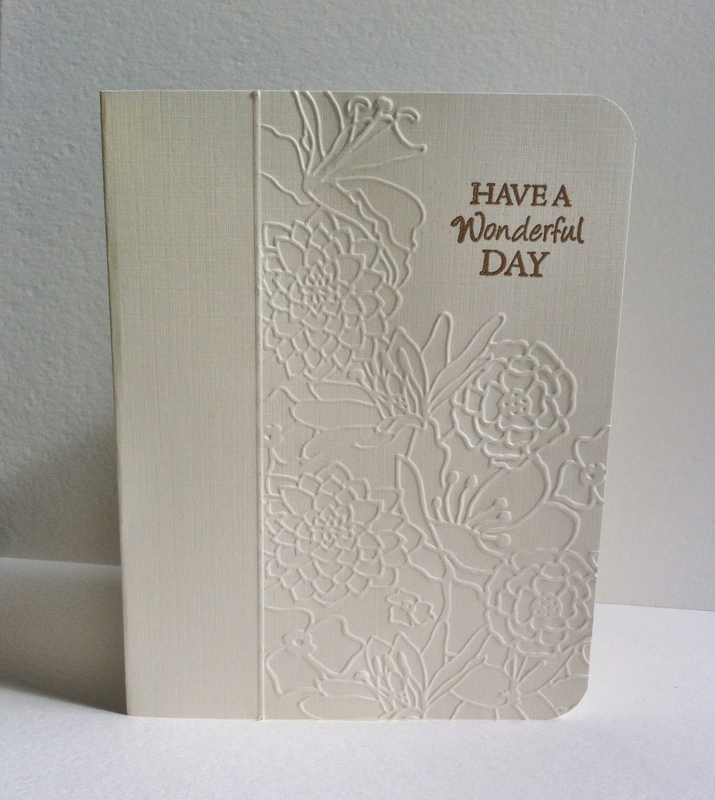 Dy embossed with a heat embossed gold sentiment above. Lastly, here is a digital card I made (I photoshopped it onto a real card for dimension so sadly it looks a bit crooked but it’s straight in real life, I promise).